Who knows what&apos;s ahead? Ben Affleck shared more details about how he and Jennifer Garner are handling their separation, and it all starts with their kids. "Life doesn’t always turn out exactly the way you want," the Batman v. Superman: Dawn of Justice actor, 43, told CBS This Morning on Friday, March 25. "We’re doing our very best and we’re putting our kids first. That’s how we’re focusing on our day-to-day lives, and we don’t know what the future’s going to hold. Each step that we take is one where we prioritize our children, and everything else comes second. She’s just so good at doing that and sets such a good example. And that’s a lead that I follow." 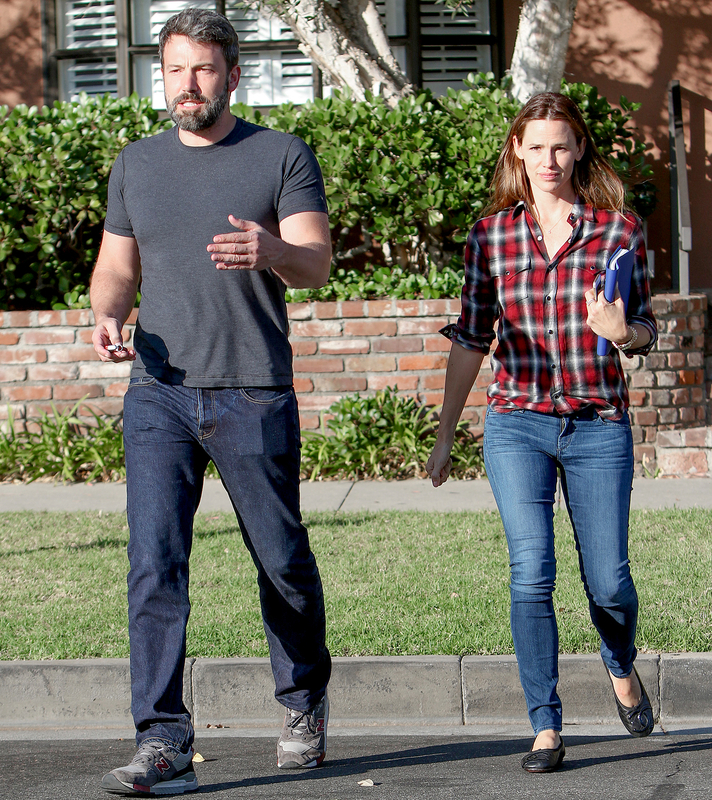 Affleck and Garner, 43, share three kids: Violet, 10, Seraphina, 7, and Samuel, 4. In June 2015, the couple announced they were splitting after 10 years of marriage. Nearly nine months after confirming the news to Us, the two still have yet to file divorce documents. "I am a giant fan of Jennifer," Affleck told CBS on Friday. "She&apos;s just a fabulous person. She&apos;s just a wonderful person. She&apos;s a great mother. She&apos;s a real talent." Affleck told CBS that he has no hard feelings about Garner&apos;s piece. 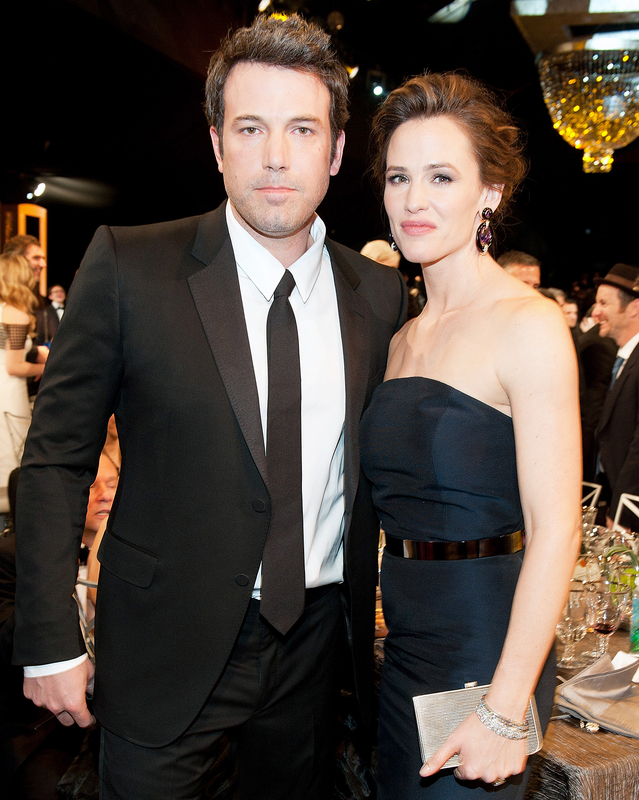 "The Vanity Fair article was her speaking her mind and being who she is," Affleck said. "And that&apos;s somebody that I know and talk to every day. So it was simply, you know, her being who she is, is being extraordinary and being somebody articulate and being somebody who I respect a great deal." The stars are still living under the same roof to raise their kids together. Affleck&apos;s youngest, in fact, thinks he&apos;s living with Batman. "I&apos;ve set a trap for myself because I showed him some of the [Batman] clips and the stuff," the Oscar winner told BBC&apos;s Graham Norton in a separate interview that will air next Thursday, March 31. "So now he thinks his dad is Batman. Now when I go out of the house, he&apos;s like, &apos;Are you going out of the Batcave?&apos; And I tell him, &apos;Yup, I&apos;m going to the Batcave!&apos;"
Little Samuel thinks the bad guys are everyday people as well. "My son thinks the FedEx guy is the Joker. So every time they deliver a screenplay, my son tells me, &apos;Dad, Joker&apos;s outside,&apos;" Affleck hilariously continued. "And then he wants me to go outside and fight him." Batman v. Superman is now in theaters. Watch Affleck order pizza as Batman in the video above!